Turn-key Colonial in terrific condition with lots of character & great amenities. Located off-the-beaten-path on a residential side street in prime North Salem neighborhood, with easy access to all that downtown offers although away from the hustle and bustle. 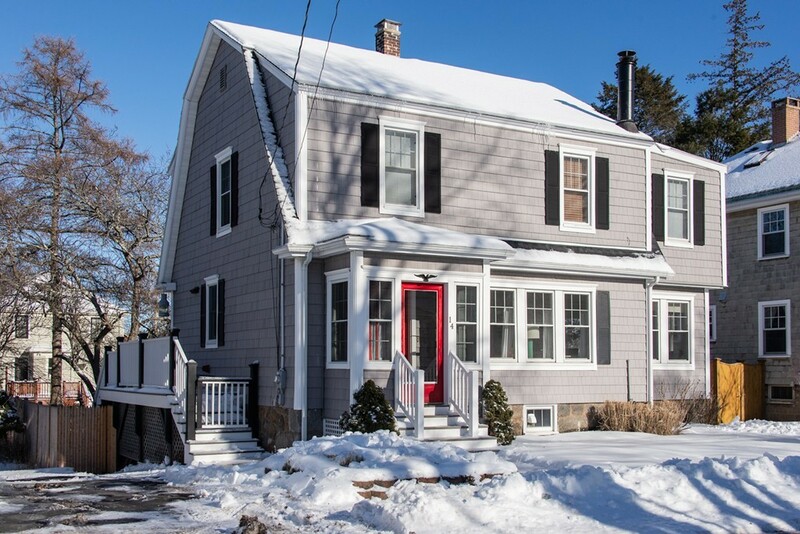 Just a short walk to shopping & restaurants and the culture of downtown, parks, waterfront and the commuter rail, also just a short drive to major routes, malls, etc. Hardwood floors throughout. Light filled interior with many windows bring the outdoors in and deck overlooking sizable fenced yard. Dining room with china cabinet connects nicely to the renovated, modern kitchen thoughtfully designed to be in keeping with the character of the house. This chefs kitchen features a commercial 6 burner Wolfe stove w/vent hood, a built-in commercial Sub-Zero refrigerator, a Fisher & Paykel 2-drawer high-end dishwasher, microwave, and a prep and main sink. Recessed lighting, wood cabinets, marble counters & open shelving. Very appealing! a 24 hour seller response time.